Sir Winston Churchill was Prime Minister of the United Kingdom from 1940 to 1945 and again from 1951 to 1955. Widely regarded as one of the greatest wartime leaders of the 20th Century, he was also an officer in the British Army, a historian, a writer and an artist. Churchill was also the first person to be made an honorary citizen of the United States. At the forefront of politics for 50 years, he held many political and cabinet positions before becoming Prime Minister following the resignation of Neville Chamberlain in May 1940. His absolute refusal to consider defeat or surrender helped inspire British resistance, especially during the early days of the war. Churchill was particularly well known for his speeches and radio broadcasts, which helped inspire the British people. He led Britain as Prime Minister until victory of Nazi Germany had been secured. After the Conservative Party lost the General Election in 1945, Churchill became Leader of the Opposition but returned as Prime Minister after the Conservative won the 1951 Election. He retired in 1955. Upon his death, Queen Elizabeth II granted him the honour of a state funeral which saw one of the largest assemblies of world statesmen in history. 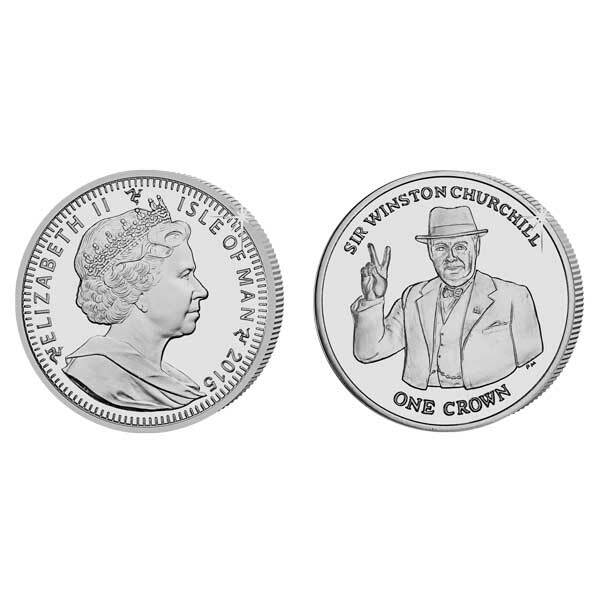 Named Greatest Briton of all time in 2002, Churchill is widely regarded as being among the most influential people in British history and to commemorate the 50th Anniversary of the death of this amazing political figure, the coin features a portrait of Sir Winston Churchill giving his exceptionally famous ‘V for Victory’ sign. The obverse of the coin carries an effigy of Her Majesty Queen Elizabeth II, Lord of Mann, by Ian Rank-Broadley FRBS. 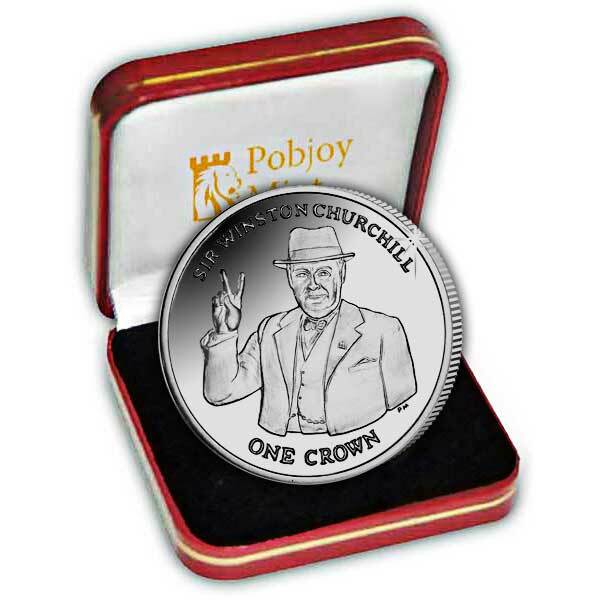 Available in Cupro Nickel and Proof Sterling Silver, all are produced to the highest quality and the precious metal coins have been struck four times to produce the famous Pobjoy Proof finish.